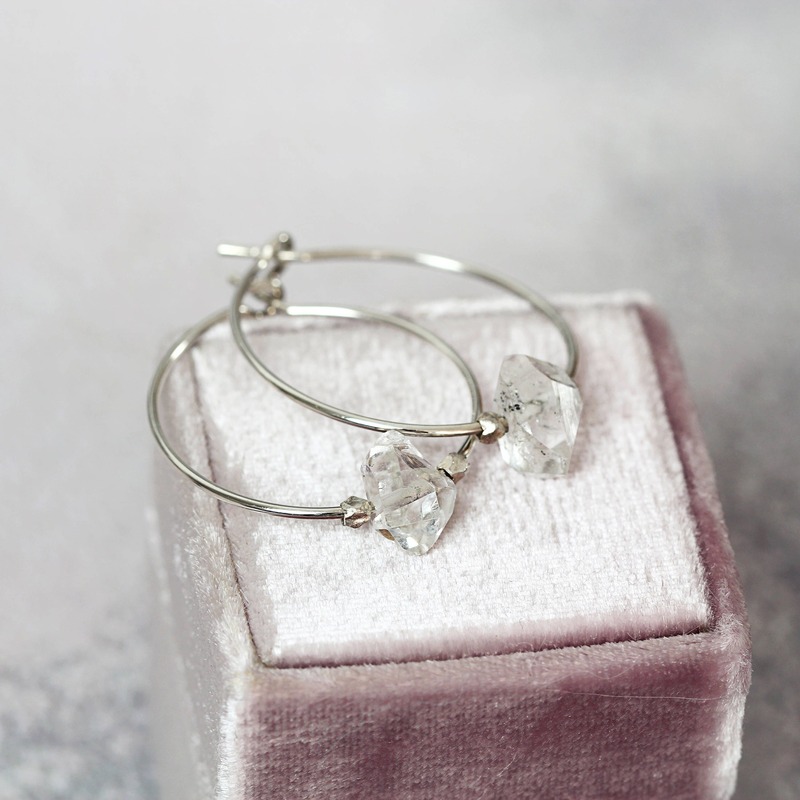 These herkimer diamond earrings are part of the Artique Boutique Bridal collection. They're perfect for wedding jewellery, whether that be as bridal earrings, bridesmaid earrings, a wedding gift, or if you are simply attending as a wedding guest. 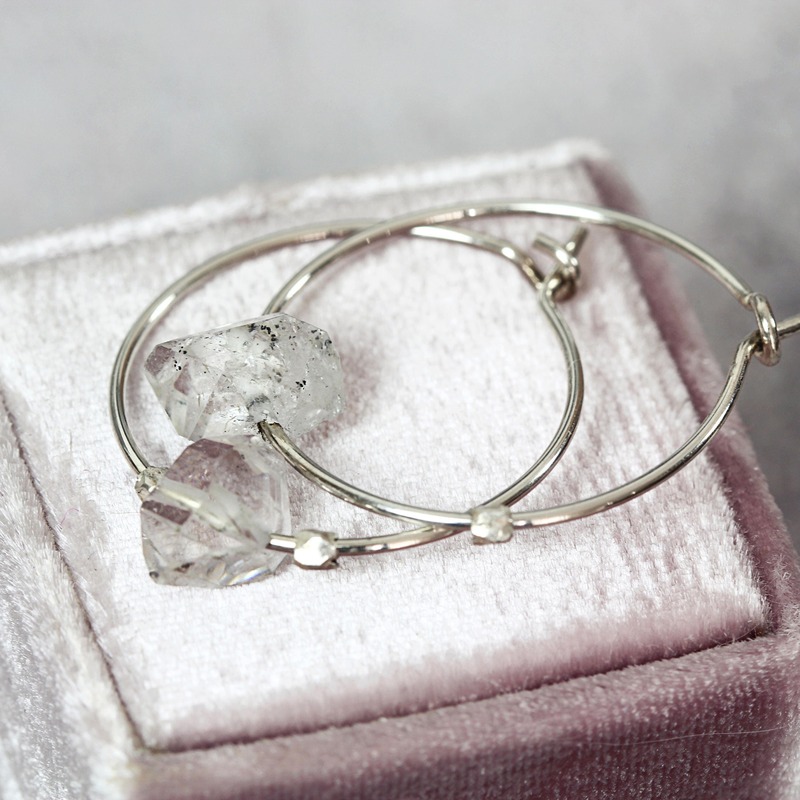 Alternatively, these modern hoops can be worn everyday for a touch of simple elegance. They are lightweight and easy to wear, and will keep you looking fresh, fine and sparkly throughout your day and long into your night. 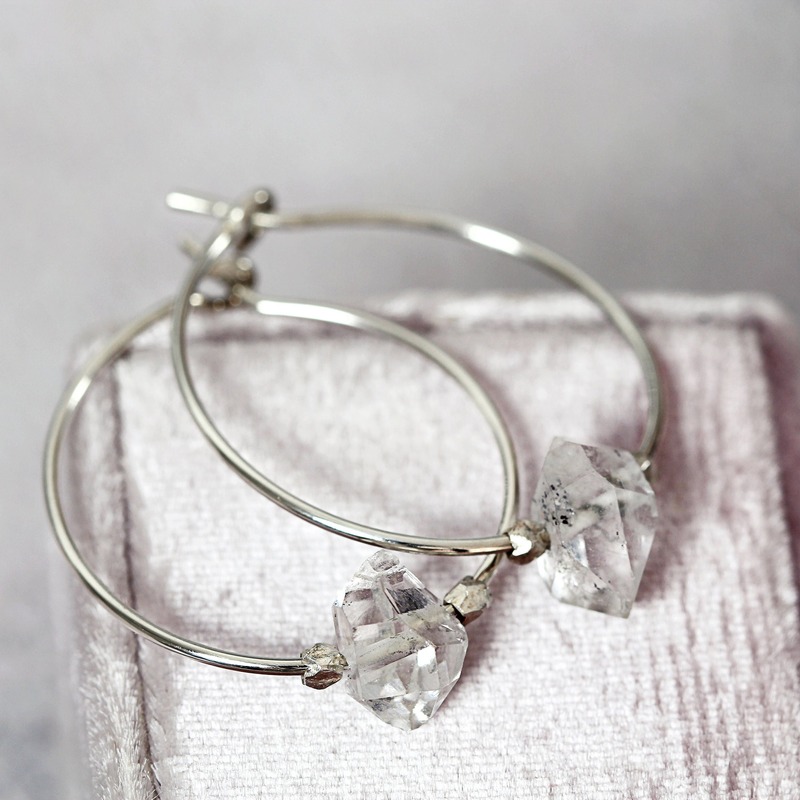 The gorgeous, natural, clear Herkimer diamond crystals twinkle and shine on sterling silver hoops. Framed each side by free-sliding handmade Karen Hill Tribe silver beads. 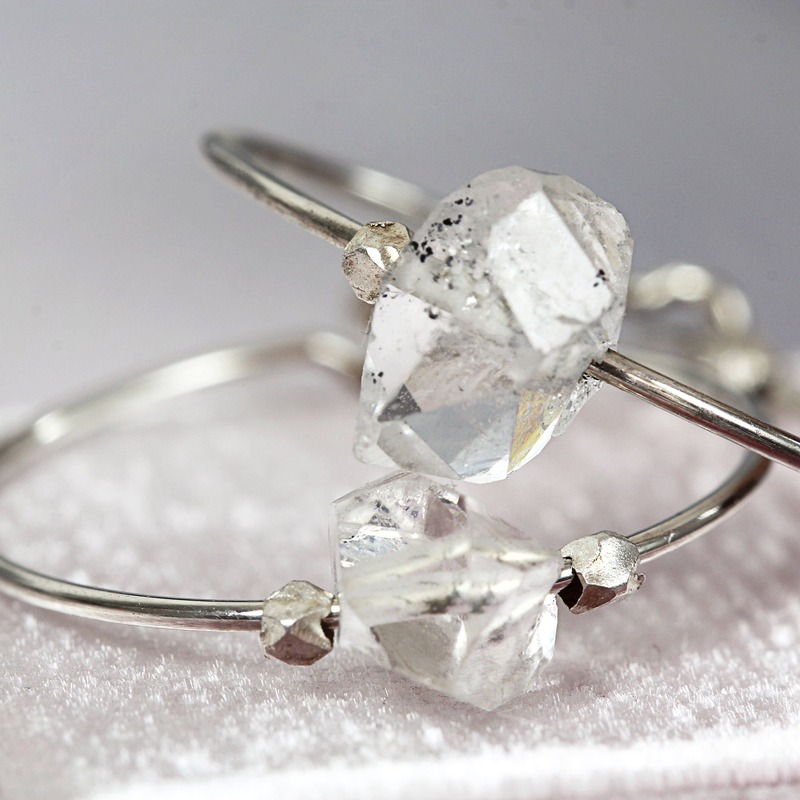 Herkimer diamonds are not actually diamonds, but totally natural double-terminated quartz crystals discovered in and around Herkimer County, New York. They may be clear and colourless, or they may contain rainbow inclusions, air bubbles, or black carbon deposits. And whereas diamonds need to be cut & polished to enhance their beauty, sparkle and value, Herkimer diamonds are naturally so - they sparkle and shine out their natural perfection with no human intervention whatsoever. They are true gifts from nature, reminding us of our natural beauty and perfection, just as we are. Also available with larger, carbon-flecked Herkimer diamonds - please see link further below. * Hoop diameter approx 20mm. 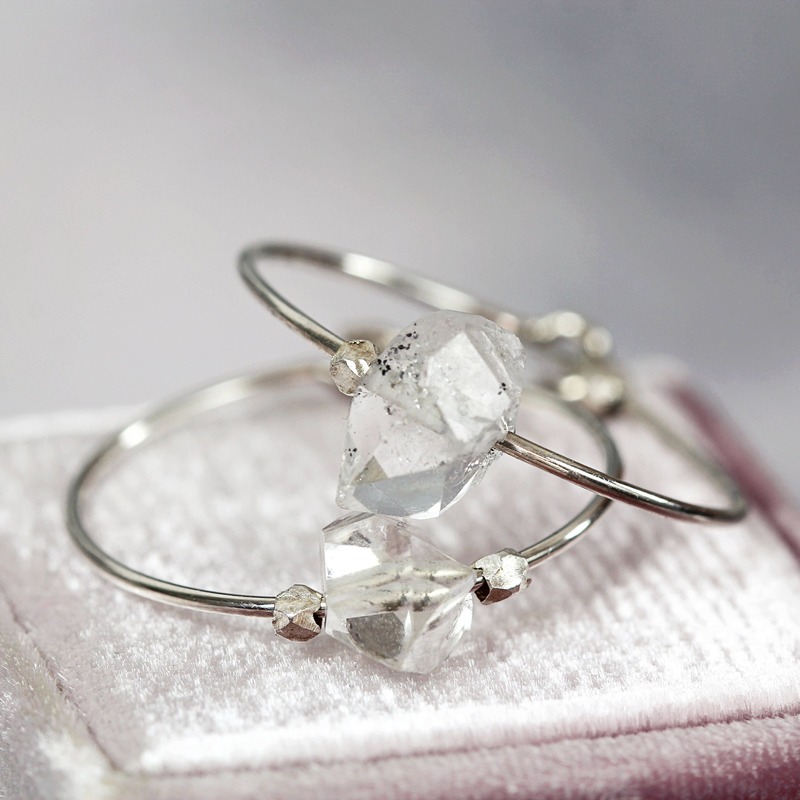 * Herkimer diamond stone vary between approx 7-9mm high on average.